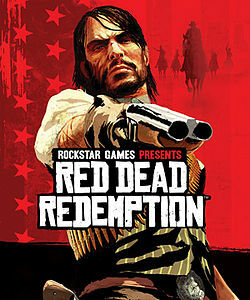 Ever since that picture of the Rockstar logo on a red background went up, people have predicted it was for a Red Dead Redemption sequel. With the next image (showing cowboy silhouettes on a similar background), this was virtually confirmed. So yeah, it’s definitely happening now. But that’s not all. Oh no, they’ve also announced when the first trailer will be posted as well! It’ll be online on October 20th at 11:00 AM Eastern Time. Or 4PM GMT for those who care. Either way, you’ll be able to see the game in action very soon. But what do you think about all this? Can Red Dead Redemption do as well as the original? Or even make the series as popular as GTA?